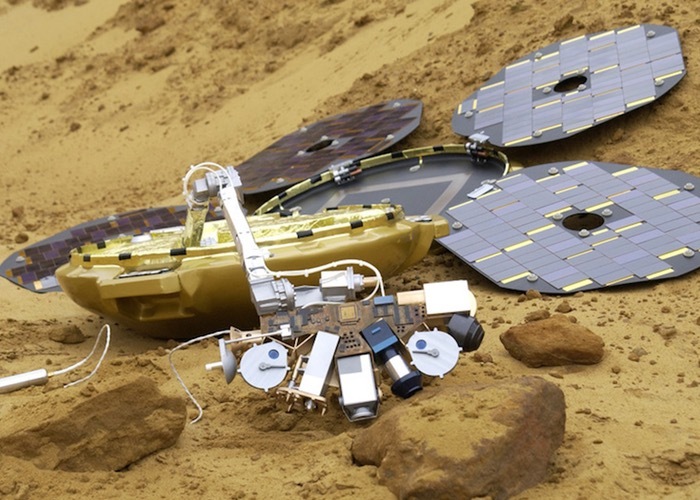 Unfortunately back in 2003 the team working on the Beagle 2 probe lost contact with their Mars spacecraft and did not obtain confirmation of his touchdown or any communication from the probe from the Red Planet. However this week the Beagle 2 probe has been found fully intact on the surface of the red planet more than 10 years after it was launched. After being assumed by many that it had been destroyed in a high-velocity impact with the planet. But unfortunately Professor Colin Pillinger the main team leader of the Beagle 2 Mars mission and whose wife came up with the name for the spacecraft probe, based on Charles Darwin’s ship the HMS Beagle. Died last year on May 7th 2014 aged 70 before the news of this years discovery. “The outcome will be deeply frustrating to the science and engineering teams behind the project, because they will now realise just how close they came to success. For more information on the new discovery of the Beagle 2 probe jump over to the BBC website for details via the link below.